Air2 is donating $5,000 through two charitable organizations sending food and supplies to Carolina communities recently stricken by hurricane Florence. Air2, LLC is a helicopter-assisted utility construction and maintenance services company for extra high voltage transmission lines. Airborne helicopter services are often deployed for hurricane emergency restoration work to assess damage, remove debris and restore power. PLH Group, parent company of Air2, is matching the helicopter-assisted utility construction company’s generous contribution, bringing total donations to $10,000 toward hurricane relief efforts. 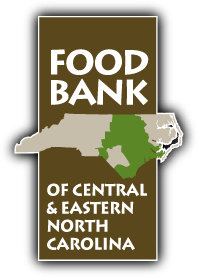 Half of this donation amount will go to the Food Bank of Central & Eastern North Carolina with remaining funds being contributed to Operation USA. Both of these non-profits will provide food, cleanup materials, hospital equipment, clean drinking water and other essentials to residents desperately in need of aid. Although it has been two weeks since the category 1 hurricane struck, flooding continues to devastate the already soaked region. Both the Food Bank and Operation USA will extend their humanitarian efforts continuously, sometimes for years after a disaster occurs. “Our goal is to provide recovery relief to affected families and residents safely and without delay so that they may begin to rebuild their lives,” said Sunita Khorana, President of Air2. About the same time last year, Air2 and PLH Group made similar donations to organizations involved in disaster relief for those hit by hurricanes Irma and Harvey in October of 2017. Air2 was also involved in emergency response and storm restoration efforts in both Florida and Texas.